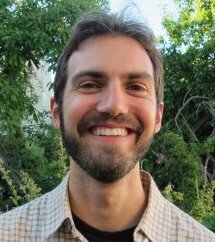 We welcome Greg Richardson, Project Manager for the PlantRight program at the California-focused nonprofit, Sustainable Conservation. Greg collaborates with environmental groups, botanical gardens, scientists, and government agencies on the issue of the impact of invasive plants on the environment. Invasive plants impact Californians in various ways, ranging from degrading our natural environment (soils, waterways, biodiversity), to being a large financial burden to property owners and taxpayers. Rarely do horticulturalists or home gardeners intentionally choose to proliferate the spread of invasive plants, yet many of these plants continue to be grown, distributed, sold and planted in gardens and landscaping today. This talk highlights why this issue is worth knowing about, why these plants are still being used, and how this is being addressed. Solutions will be presented primarily through the lens of the collaborative, science-based and voluntary PlantRight program. Greg’s presentation covers some of the most common horticultural invasive plants in the trade, noninvasive alternatives to consider using in their place, and opportunities to get involved. Prior to his time at Sustainable Conservation, Greg worked in various environmental fields ranging from green building to journalism, and corporate social responsibility. His academic background includes Bachelor of Science degrees in economics and environmental studies from the University of Michigan in Ann Arbor.